Tegan Starr is an Associate Director in FRA’s London Office. She has over eight years of experience in forensic accounting, auditing, pre and post acquisition due diligence and AML and ABC compliance reviews across Asia, Australia, America, Europe and North Africa. Tegan’s recent experience includes a compliance review for a multinational financial institution working alongside a monitor appointed by the US Department of Justice (DOJ) as part of their Swiss bank programme, pre-acquisition due diligence for a multi-national manufacturing company, as well as a three month secondment to a global construction company to assist with an SFO investigation into bribery and corruption in the company’s Middle East division. Prior to joining FRA, Tegan spent six years in Ernst & Young’s fraud investigations and compliance division in both the Sydney and London practices. 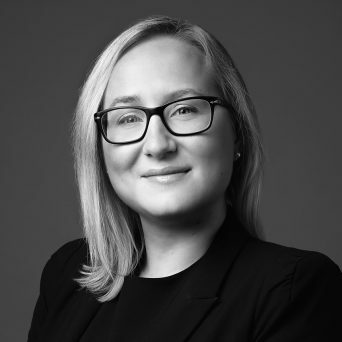 Tegan also participated in a one year secondment to Ernst & Young’s internal legal team, where she was involved in the interpretation and application of legislation, assembling and reviewing of evidence for corporate litigation matters and subpoenas. Tegan qualified as an Chartered Accountant in 2010 and as a Certified Fraud Examiner in 2016. Tegan has a Bachelor’s degree in Accounting and a post graduate law degree from the University of Technology, Sydney. Tegan is based in FRA’s London office.